You can find the Practical Guide for visiting Academics below. There are a few points which must be clarified before the visiting academic arrives in Hamburg. Information for academic hosts are available here. We have compiled some services and information to help you to get started in Hamburg. We hope you find everything you need to know on this website. If there is anything you think we could improve, we would like to hear your ideas and suggestions. Please direct comments to: Janie.Wermter@uni-hamburg.de. MIN Faculty and its members wish you a good start, a most interesting research stay at Universität Hamburg and every success in your research. Main contact point for information on the topic "New in Hamburg"
You may contact the Hamburg Welcome Center (HWC) service advisors by telephone or e-mail prior to or upon your arrival in Hamburg if you need any information on the topic “New in Hamburg”. The HWC offers various free services for newcomers to Hamburg. Ask a HWC service advisor for a bag of “Welcome Package for international visitors“, which needs to be collected from the HWC. Hamburg Public Transport Association (HVV): If you live in Hamburg or Hamburg area, you are better off if you avoid the roads and take the U-Bahn, S-Bahn, AKN, rapid transit or regional rail lines for fast, direct rail connections within the Hamburg region, all leading into the city center. A researcher from abroad who plans to carry out a research stay at Universität Hamburg and is looking for a research fellowship or funding program may check the following websites. In any case, contact your potential scientific host at MIN Faculty of Universität Hamburg and ask for research funding possibilities for your planned research project at the department of the academic host. Also contact your host prior arrival in order to clarify any special conditions pertaining to the research projects (e.g. permission to carry out certain experiments, regulations governing medical practices, etc.) and to obtain information about premises and equipment so as to make sure that the planned research project is technically feasible at the department of the academic host of Universität Hamburg. Check for programs for researchers coming to Germany. For postdoctoral researchers, junior research group leaders, experienced researchers, and internationally recognised cutting-edge researchers. The fellowships funded by the P.R.I.M.E programme combine a 12-months mobility phase abroad with a 6-months re-integration phase in Germany, to ensure further integration into the German system of science and research. A programme of the German Research Foundation (DFG). The Mercator fellowship can be applied for as part of project funding by researchers in Germany. Alternatively, the module can also be applied for on behalf of the project teams by the coordinators of Research Units and Priority Programmes. Research directory of the German Research Foundation (DFG) and the German Academic Exchange Service (DAAD). Here, you can structure your search according to subject area. Then select the desired research area from the offered selection as well as the research location (Hamburg). Look for information on funding programs for incoming researchers. Opportunities to collaborate with professional counterparts on curriculum and faculty development, institutional planning and a variety of other activities. Duration: 14 - 42 days. The Intercountry Lectureship Program sponsors guest lecturers at German universities. The program for junior and senior faculty members sponsors lecturing and/or research stays at various stipend levels for a duration of 2-4 months. This Research Fellowship Programme of the European Commission supports researchers at all stages of their careers, irrespective of nationality. Researchers working across all disciplines, from life-saving healthcare to 'blue-sky' science, are eligible for funding. The MSCA also support industrial doctorates, combining academic research study with work in companies etc. 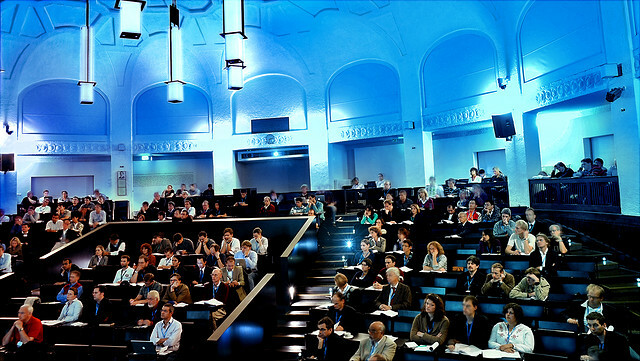 Research stays up to one month (or shorter) at an international partner university of Universität Hamburg. EU nationals and nationals of those countries for which the European Community (EU plus Iceland, Liechtenstein, Norway and Switzerland) just need a valid passport to enter Germany. They do not need a visa for a stay longer than three months. Nor is work permit necessary but they must register with the local authorities after arrival (cf. 5). do not need a visa since they may acquire a residence permit at HWC after entry. Prerequisites for this are proof of financing and valid health insurance. They need to apply for a temporary residence permit (Aufenthaltserlaubnis) at the relevant immigration authority within one week after arrival in Hamburg. As a general rule, Non-EU nationals require visas for stays of more than three months or stays leading to gainful employment before entering Germany. Non-EU citizens who want to work as a visiting researcher should not enter Germany on a tourist or Schengen visa. Information on visa regulations including visa fees and a table of the countries whose citizens require/do not require visa are available at: Visa regulations. Information on entry and stay of researchers from non-EU countries is available on the pages of the Federal Office for Migration and Refugees. The decision on a visa application may take several weeks. Applications should therefore be submitted in good time. All applicants must submit visa applications, together with all the required supporting documents, in person at the German Embassy or German Consulate in their home country prior to departure. You can download and fill in visa application forms online, and then take the completed and printed out form to the interview at the visa section of the German mission responsible for your place of residence. Visa application forms can be downloaded and completed online at: visa application form. Completed application form, available online and free of charge from the German mission in your home country. Written invitation from the host scientist of Universität Hamburg or research institute of Universität Hamburg containing details about the purpose and duration of your planned research visit. Alternatively, an employment contract or a statement of intent from the host scientist, stating that you will be employed there. Visa fees: The fee for all types of visas has been EUR 60,- since May 2008 (stand June 2012). Original or official copy of birth certificate (with a legalization certificate or apostille from the German diplomatic mission) and a certified German translation of the birth certificate. Copy of your passport including a copy of your valid residence permit, if applications are not submitted together. National visa (D visa): For a stay in Germany more than three months visiting researchers will need to apply for a national visa. Before the visa expires it must be extended by a residence permit at the HWC. Dual visa (D + C visa): A national visa can also be issued as a so-called dual visa. A dual visa is suitable for prolonged visit and functions as a visa entitling the holder to make temporary visits to countries in the Schengen zone without first having to wait for their residence permit to be issued. To receive a dual visa, the applicant must explain why it is necessary for him or her to visit other Schengen states during the application waiting period. The academic visit has been arranged through the agency of a German scientific or academic organization, i.e. DAAD, DFG, AvH and the visitor has been awarded a scholarship or grant from public funds. You are invited to Germany to engage in scientific or academic research by a university or other publicly funded research institution. In any case check with the German diplomatic mission in your home country. Due to the high demand and shortage of accommodation in Hamburg, it is strongly recommended to start making arrangements for accommodation while you are still at home. 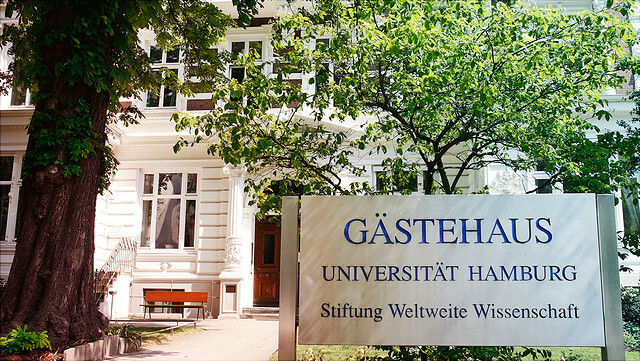 The Gästehaus of the Universität Hamburg offers bedrooms and flats of different sizes to visiting researchers and lecturers. Have a look at their prices and services here. How to find an apartment for rent? Please check out Info Sheet 'How to find an apartment in Hamburg' for information on rentals. Hotels and hostels If you prefer to stay at hotels or hostels at a favorable price for the first few days in Hamburg, check out Hostel Hamburg Booking. Everybody including EU nationals staying in Germany for more than three months must apply for and obtain a residence title (Aufenthaltstitel). Consequently, international visiting researchers must apply for a residence title. You should first register your residence at the Hamburg Welcome Center before you apply for a residence title. As of 1st September 2011 an electronic residence permit (eAT) in credit card format replaces the paper form. The documents needed for the residence title application are listed below, based on information provided by the Hamburg Welcome Center. If any of the required documents is missing, your application will be refused. Thus, please always check requirements with an English speaking advisor of the HWC before applying. The HWC information service is available for free. You need to arrange an appointment with Hamburg Welcome Center. Necessary documents to be submitted may vary in individual cases. Completed application form, downloads are available in several languages at residence title application form. Information on workplace and on employment (use official form), download Declaration Forms of Business and Occupation. The official form is in German. An English speaking HWC service advisor will assist you with translation into English. For any questions that you may have regarding your planned trip to Germany with your family you can get in touch with a service advisor at the HWC. Health insurance is mandatory for everybody residing in Germany. That is also true for all guest researchers during their stay in Germany. In order to receive first payment if you are employed, you need to provide a proof of health insurance or a copy of your European Insurance Card (EHIC). Proof of health insurance is also essential for extending your residence permit. Researchers from EU countries who have an EHIC or E 109 (for families) can usually keep their health insurance that covers any necessary medical treatment within the European Economic Area (EEA). More information is available at the German mission in your country. If you are employed (i.e. a research scientist), the standardized contribution rate for your health insurance makes up 15.5 % of your monthly gross. The contributions are then split between your employer (7,3%) and you (8,2%) and will be automatically deducted from your monthly salary. State regulated health-insurance (public health insurance) include premium-free family insurance. This insures the holders's spouse or official partner and children (up to a certain age limit). The prerequisites to be eligible for family insurance is that the income of the spouse and children does not exceed 425 €/450 € per month (stand 2017) and that they are not insured themselves. A public health insurance which is generally taken out by international researchers up to 34 years old. To find out which health insurance system is mandatory for you, check out the EURAXESS homepage Health Insurance Guide. You can find more information about state-regulated health insurance at Federal Ministry of Health. A private health insurance which generally offers more extensive cover, but is not automatically advantageous for everyone. If you are employed on the basis of an employment contract, it depends on your salary whether you can take out a private or public health insurance. If you are not from a EU country and need a health insurance, you can find a list of the health insurance companies, Krankenkasse in the telephone directories of the Yellow Pages of Hamburg: Yellow Pages Health Insurance Companies: AOK, Barmer, Care College, DAK, GEK, HEK, HKK, HMK, IKK, KKH, Knappschaft, TK. This alphabetical list of health insurance companies is not exhaustive and we do not recommend any particular insurance company. Before choosing a health insurance company, find out exactly what services, therapies, treatments and additional benefits it offers and what benefits and payments you can claim for. Ask for an English brochure and read it very carefully. Services differ from provider to provider. Being a member of a health insurance company does not mean that the company is responsible for all the costs that arise in respect of your medical care. Ask for an English brochure and read it very carefully. Some costs for medical and dental treatment, for medication, for medical aids, for treatment by therapists or rehabilitation measures may not be fully covered by your health insurance company. Patients often have to pay a personal excess (Patientenbeitrag). Besides, there are forms of treatment that patients have to pay in full. If you are uncertain about additional costs you may have to pay for a medical treatment or dental care, ask your health insurance company for advice in advance. If you need urgent medical care at the weekend or at night, report to the „Ambulanz“ (outpatient department) or „Notaufnahme“ (Accident and Emergency) in hospital or call a doctor. Emergency doctors are listed in local newspapers under the heading of “Ärztlicher Notdienst” (Medical Emergency Service) or „Notdienst“ (Emergency Service). We do not make claim that the information given is accurate or exhaustive, and shall accept no liability for the accuracy or completeness of the content of the websites referred to. The information provided is for general informational purposes only. You should know about the importance of having a liability insurance. It is worthwhile to take out a (family) liability insurance for the entire duration of your research stay in case of damage caused to a third party. The third-party insurance will protect you against claims resulting from damage caused unintentionally. Standard third-party insurance policies are not expensive and the conditions are similar. Contact Service for International Visiting Researchers for any queries. A proof of income would make the opening of a bank account easier (pay slip or bank statement). Take the documents to your chosen bank or branch. Please ask at the bank or the branch if you could get information from an English speaking customer adviser. Addresses and telephone numbers of banks or branches are available at Yellow Pages Banks, the telephone directories of the Yellow Pages of Hamburg. Enter “Bank und Sparkassen” (banks and saving banks) in the search field “Stichwort, Name, Telefonnummer„ (keyword, name, phone number), then enter the place (Ort) or postcode (PLZ), district name (Stadtteil) or street name (Straße) in the search field “Ort, PLZ, Stadtteil, Straße“. Last click on „suchen“(search) to look for addresses of a bank near your place. Once at the local branch, always ask for any potential service charges as they may differ from bank to bank. You may be charged for: opening an account, yearly administrative costs, credit card costs, withdrawal costs from other banks, bank statements printouts. Depending on the bank and the account details bank card should normally be sent by post within a few days. Now you have sorted out your family, accommodation, health insurance, bank account, residence registration, etc. and you think you can start working. Now you need keys, IT services to set up a work space with your computer, a telephone connection as well as the internal telephone directory, and a lot more. You can find an answer to those topics at: New at Universität Hamburg or contact: Service for International Visiting Researchers. You can check for language courses offered by the joint Language Center of Universität Hamburg and the Adult Education Center here. The Adult Education Center also offers classes at different levels from A1 to C2. Please be advised that these are not tailored to academic level so you should take "schnelles Lerntempo" classes at fast learning pace. You can ask an advisor for an assessment test to make sure that the course is suitable for you. Check for available courses at: Hamburg Volkshochschule. Course information portal Hamburg provides you with more German courses offered by further language institutions in Hamburg (in German). offered at Universität Hamburg can be found at Career Center Workshops and Seminars. Information on language courses and workshops is available at PIASTA Language Compass PIASTA Language Compass. Events, advising services, networks and an information pool, guides and supports on your career path are offered by Career Center. If you want to learn German basics in your own time, you could sign up for the free online course “German Steps” for beginners at BBC Languages. Once you have completed this course, you should be able to use and understand frequently used expressions related to areas of most immediate needs for your stay in Germany. You will receive weekly email tips. “Deutsche Welle” also offers free interactive German self-study course for everyone at DW German Course. It covers levels A1 to C2. Select the level that suits you best by answering a few assessment questions. Then choose from e-learning at the computer, with short videos, audio courses or podcasts, or with texts and worksheets. Microsoft Internet Explorer 6.0 or higher / Firefox 1.5 or higher are recommended. You must log in with your own password to be able to use this website. For any further queries regarding language offers please contact Janie.Wermter"AT"uni-hamburg.de.